Motorola launched DEFY plus in India. Defy plus is the perfect match for Indian conditions. The phone came with features like Water resistant, Scratch resistant and dust proof resistant. 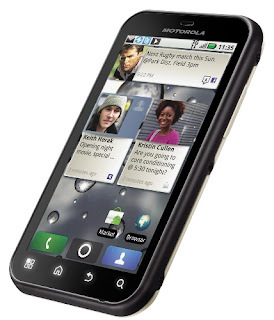 “We designed Motorola Defy+ with all the smart phone features you need for a demanding lifestyle. With faster web-browsing, social networking tools and great entertainment capabilities, it puts friends and fun in easy reach” - Rajan Chawla, Motorola Mobility’s Country Head – Sales and Operations for Mobile Devices Business. 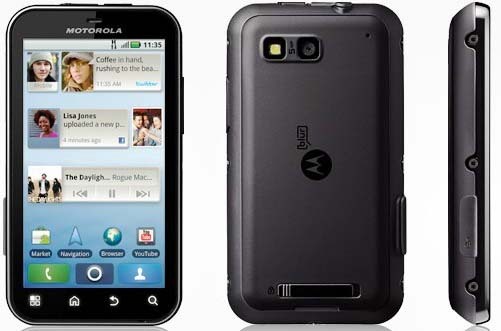 Motorola Defy plus comes with features like 1 GHz processor, Android 2.3 (Ginger bread) operating system, WiFi, 5 MP auto focus camera, MotoBLUR UI, 512 MB RAM, 2 GB internal memory, Adobe Flash player, FM Radio, GPS, Bluetooth 2.1, 1700 mAh battery. Motorola DEFY Plus hands-on video. The price tag of Motorola Defy plus in India was Rs. 17,990/- . The price of the phone was reasonable for its design and features. Accelerometer, Ambient light and proximity sensors. Tags: Motorola Defy Plus, Defy +, Motorola Defy Plus launch in India, Defy Plus full specifications, Technical specifications of Motorola DEFY plus, Defy Plus review, Defy plus price in India, 17,990, Images of Motorola Defy plus, Official release of Defy plus, Latest Gadgets, Stuffadda Gadgets, Mobiles, Defy plus battery life. i just have only two choices - motorola Defy+ or Samsung Galaxy Ace.